MP, Jeremy Wright has reminded that social media users are not above the law after putting pressure on Facebook and Twitter to remove Islamophobic and racist comments from their websites. In his position as Attorney General, Mr Wright said he is “happy to meet” social media companies and urge them to remove hundreds of bigoted messages now in public view. 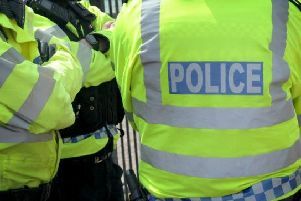 The Kenilworth and Southam Conservative warned that those who do not comply may face prosecution, as well as telling users of such sites that their actions could land them in court. The calls come after news that social media companies refused to remove inflammatory messages posted online. Questioning the Attorney General, Keith Vaz, chair of the home affairs select committee, asked if the MP shared his concern about the increase in Islamophobia and racism on sites such as Facebook and Twitter. Mr Wright responded: “Yes, I do share that concern, and I’m very happy to meet with social media providers and others to discuss what more we can do. “It is important that everyone understands that social media is not a space where one can act with impunity.